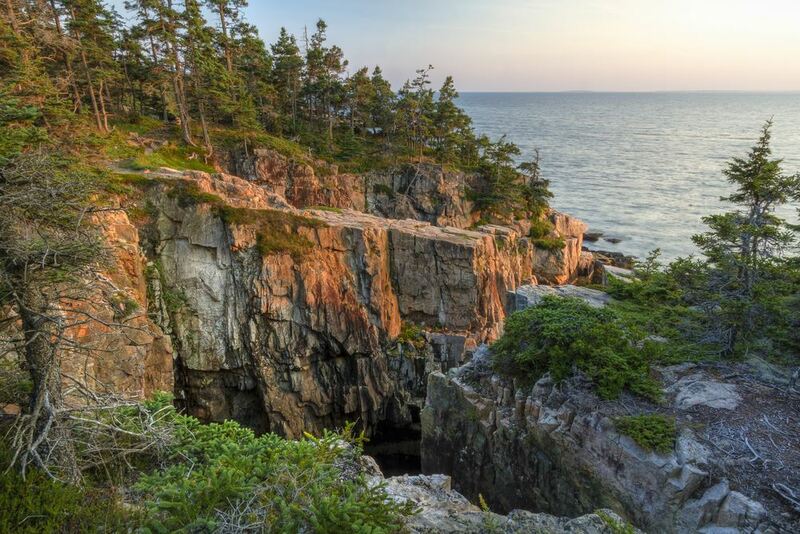 Camping in the great outdoors is the most excellent way you could explore the Acadia National Park. All you have to do is to choose the right hammock, take an ideal tent, and bring the right boots to go camping in Acadia. When you go to the site, you will select among three major campsites in the park. Also, there are approximately a dozen of private sites close to Acadia National Park. You can find the park in Maine’s coastline. It boasts its extending mountains and wilderness. It is a place you have to visit if you want a vibrant yet serene area for camping. Acadia National Park camping has so much to offer. To have the best experience ever, here’s our guide to help you discover the campgrounds in the park. 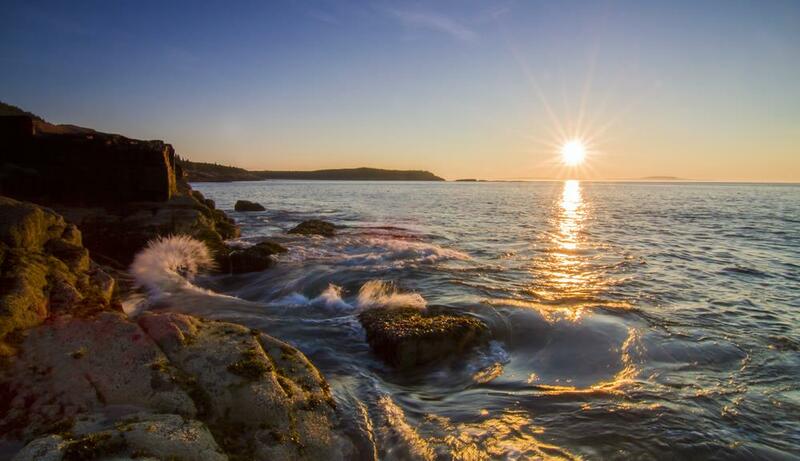 You can find the Acadia National Park on the east coast of Maine. It extends across the mainland and the offshore islands. The site spans to a sum of 47,748 acres of glacier mountains, lakes, forests, ponds, and ocean coastlines. Acadia has three stages, founded as Sier de Monts National Monument in the year 1916. Then, Lafayette National Park in 1919. 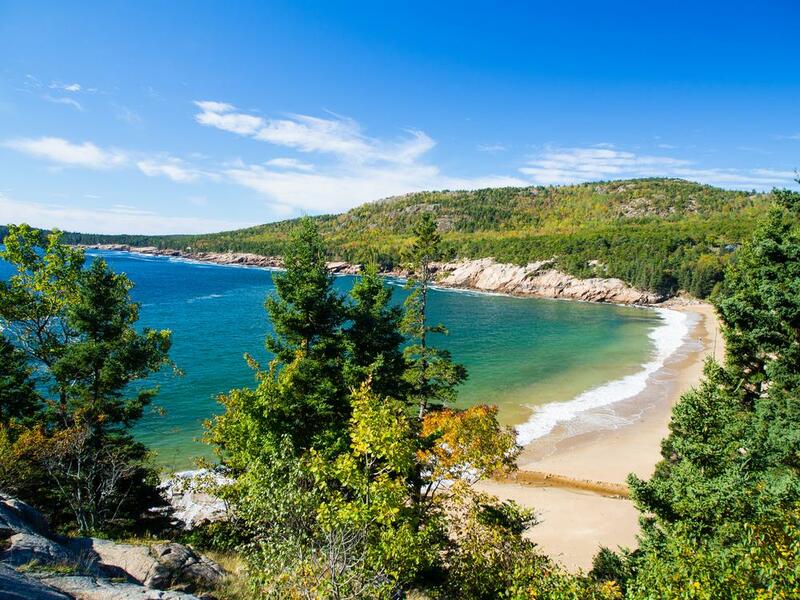 Finally, it adopted the name Acadia National Park in 1929 as it added the Schoodic Peninsula. The National Park is open the entire year. However, a lot of facilities and roads closed starting from December 1 up to April 14 every year. Thus, when you plan on visiting one of its campgrounds, you need some planning to do. Acadia is quite smaller than other national parks in the country. However, its beauty attracts about 3 million guests every year. However, before heading to the site, you need to check the guidelines and principles present in the park for your planning. The park takes pride of its over 127 miles of hiking trails. 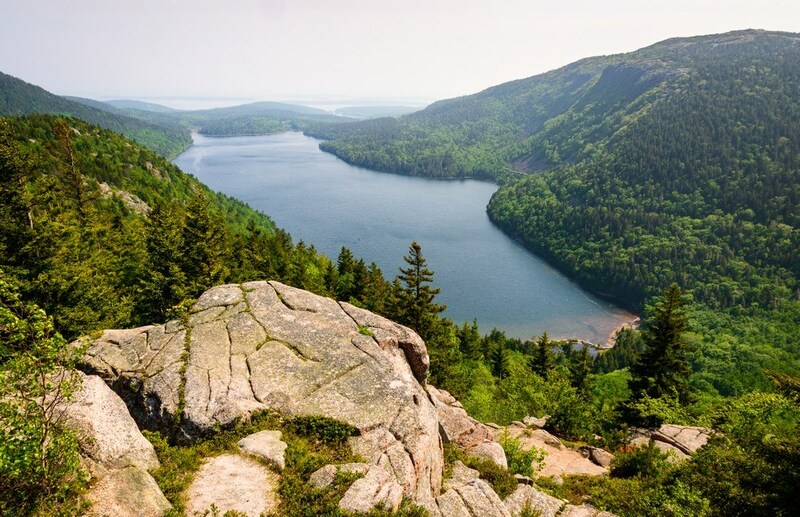 So, there are so many terrains to check out when heading to Acadia National Park. 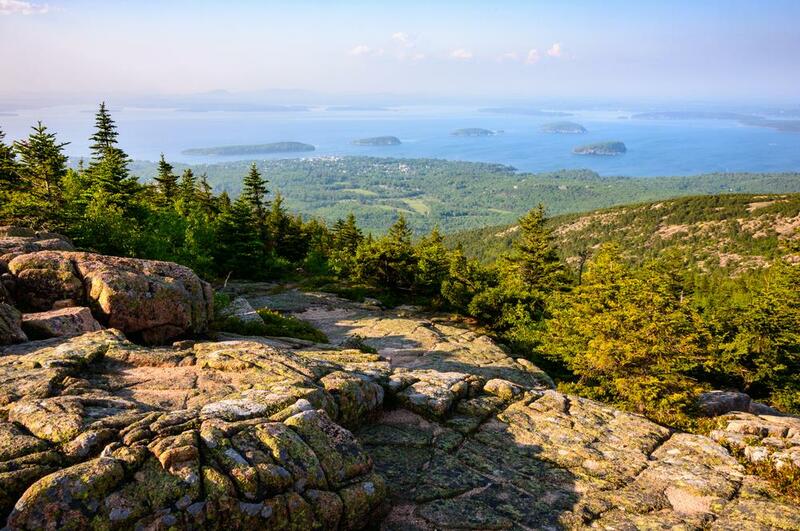 You may even try to put yourself into an active mode with the 2.4-mile hike to Cadillac Mountain Trail. Also, you may choose a shorter route and go to the Beehive Loop. You will expect a 1.6-mile trek with the clear views of the Sand Beach and other islands. You can also take a moderate hike for about 4.4 miles on the Ocean Path where you can see the scenic views along the Park Loop Road. Then, you have to begin close to the parking lot of the Sand Beach. The road will take you to the Thunder Hole by the Monument Cove through the forest. Then, you’ll head to the bell buoy and the Otter Cliffs. Hikers usually just follow the trail going back to the site. Others also ride the Island Explorer to head to their next destination. For an easier trek, you may track the Jordan Pond Path, which you can find along the shores. Additionally, the carriage paths are the main biking areas in the park. 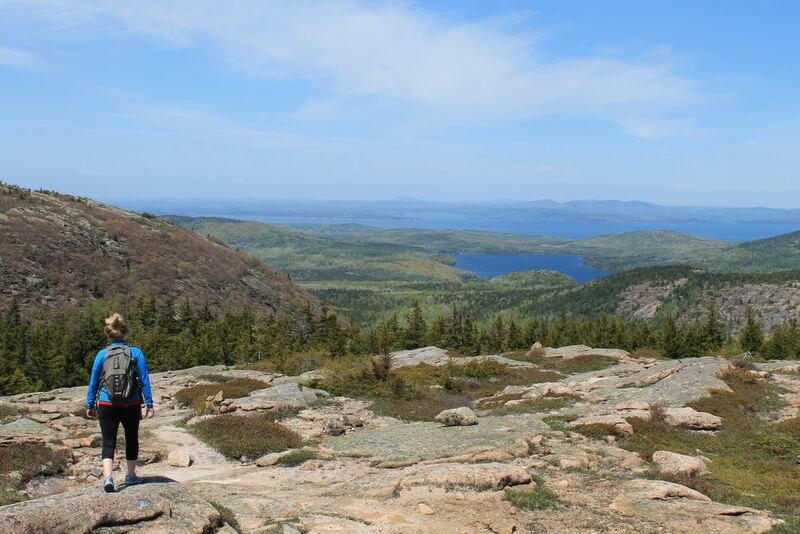 You will go through the forty-five mile of rustic trails and head around the valley and mountains of Acadia. It will surely provide you the most scenic views of the park. For non-bikers, you can still walk or go horseback riding along the roads. You may choose to bring your horse or take a horse from the Wildwood Stables. The next thing to enjoy in Acadia is a sea kayak or canoe. You may do this through the Porcupine Islands and explore the coastline. Some guests also choose to join the guided tour. The place is full of freshwater and saltwater fishing adventures. You can catch different species of fishes like lake trout, brook trout, smallmouth bass, and landlocked salmon. However, you will have to bring a fishing license before you can go fishing in the area. Lastly, for pro rock climbers, you can head to the Great Head and Otter Cliff for the best sea cliff climbing of a lifetime. At the Otter Cliff, it uses fixed anchors above instead of trees for the climbers. Climbers heading to these sites should always check the weather and tide forecasts first. Aside from the two areas, you can also go to the Central Slabs for another climbing adventure. Some campers think that the only real beach at the park is the Sand Beach. But, the truth is that there is another beach excellent for sunbathing and swimming. It is the Echo Lake Beach, which has a warmer water. Both of these beaches have lifeguards, especially during the summer. Another favorite beach is the Little Hunters Beach, which you can find just a few miles from the Park Loop Road. However, fewer people visit the beach, and it does not have a lifeguard. Acadia becomes one of the busiest parks during the fall and summer. However, you can enjoy the activities all year-round. During winter, the caretakers try to groom the roads of the park. Also, the park holds snowshoeing and skiing. You can even enjoy winter camping, snow hiking, and ice fishing in the area during winter. If you want to witness the best of Fall, you may go to the park in the middle of the month of October. Plus, the crowds get lighter as the kids go back to school during this season. Another thing that makes Acadia incredible is that it houses hundreds of birds. In fact, it is one of the best birdwatching areas in the U.S. It is a campsite located around five miles south of the Bar Harbour away from the Route 3. Because of its principal location, it is the most popular campground in Acadia. In fact, you can travel a short distance from the Park Loop Road, Bar Harbour, and Acadia’s best trekking trails when you select this site. Blackwoods boast its 306 campsites, including some sites for RV camping. During its busiest seasons, you have to reserve a spot in the campgrounds. It may cost you about $30 each location per night. From the months of June to mid-October, the Island Explore provides the transportation around popular areas like the Mount Desert Island. All of the sites at this campground has woods, and the ocean is just a few minutes walk. Every campsite has a campfire ring and picnic table. Also, the bathrooms come with flush toilets, which you can find near your campsite. From April to November, the sites cost $15 per night. From December to March, the ground has limited campsites available for camping. So, you need to reserve an area before you head to the Blackwoods. You must also remember that there the ground does not contain showers. You have to go to a nearby village to pay for your shower. Situated in the western part of the Mount Desert Island, this campground is Acadia’s second most famous area. The Seawall if about a few miles south of the Southwest Harbor. It contains approximately 200 wooded sites. You can also have an Oceanside picnic just a few miles from the ground. Every campsite offers a campfire ring and a picnic table. Plus, the bathrooms have flush toilets. Another disadvantage of this area is that it does not have showers. They are only available a mile away from the Seawall. For walk-in tent campsites, you have to pay at least $22 a night. For the drive-up tent, motorhome, and camper sites, it may cost you $30 per night. The motorhome can contain RVs around 35 feet. The campground is available for campers from the first Wednesday, a day before the Memorial day up until the end of September. Because of its growing popularity, you need to reserve a space in the campground, especially during the peak season. The latest campground is the Schoodic Woods. The campground just recently launched in 2015 and is near the Schoodic Peninsula. It is the only area of Acadia on the mainland. It is forty-three miles from the Bar Harbor and three miles away from the southeast of Winter Harbor. Schoodic Woods come with 94 sites. The Loop A contains 37 campsites with parking lots for campers, vans, and cars. On the other hand, the Loop B has only 30 sites designated for RVs. Both of these places offer fire rings and picnic tables. Also, there are washrooms and flush toilets scattered in the area. 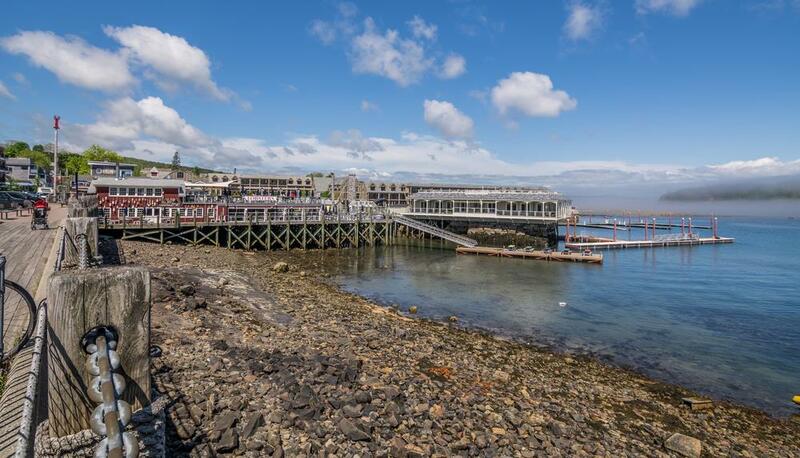 From June to October, the Island Explorer will give visitors free rides to Winter Harbor and Schoodic Peninsula. There are also 8.5 miles of bike roads near the campground. Plus, a new hiking trail goes atop the Schoodic Head, which is the highest part of the Schoodic Peninsula. For walk-in tent campsites, you have to pay at least $22. For small RVs and drive up tents, the cost is $30 a night. Moreover, for RVs with water and electricity, you have to pay $40. The campground is open at the end of May up to Columbus Day. Camping within the Acadia National Park is an excellent way to experience the natural beauty of the nearby waters and mountains. For campers, you may choose a site for RVs and drive up tents. You can even rent an RV, or you can also opt to bring your own. Also, you can pack up your tent and set it up in one of the accessible campsites in Acadia. However, before visiting and exploring the wonderful park, you have to follow the guidelines provided to keep the park as natural, undisturbed, and clean as possible. Remember that you have to stay responsible while you are having a great time in Acadia.